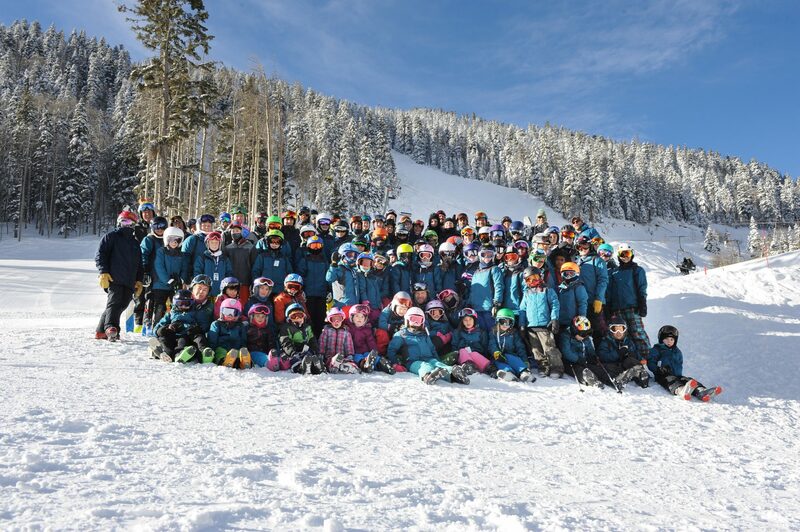 The Mountain Dragons Development Program is designed to teach fundamental skiing skills using a broad spectrum of tools available, including gate training, free skiing, skills drills, and the terrain park. These are the fundamental skills that every aspiring young snow sports enthusiast must learn in order to begin competing in snow sports such as ski racing or big mountain events. DEVO PROGRAM: This program will meet every Saturday with a 2:45 morning session and then another 2:45 afternoon session. Lunch is not supervised by the staff. Each athlete participating in this program will be expected to enter at least one competitive event during the season. There will be numerous local grassroots events available to choose from this winter. Competition is an excellent tool to help youngsters learn our sport and is at the core of our skills curriculum. Athletes in this program are also expected to be comfortable loading and riding chairlifts without adult assistance or supervision. Although group sizes will be quite small, it is physically impossible for staff to ride a triple or double chair with every athlete in the group, so we ask that athletes in this program be capable of proper chair lift behavior. This program will be a fun, high quality learning experience, with knowledgable and skilled staff who are excited to share their passion for the sport.